I hope you're staying nice and warm wherever you are! My family and I just made it back from a winter ski break. It snowed quit a bit while we were skiing and my youngest daughter kept singing "Let it snow". My girls wanted to bring snow home with us but since it will melt here in Texas, I decided to make some DIY snowflake decor with the song we heard sang on repeat. 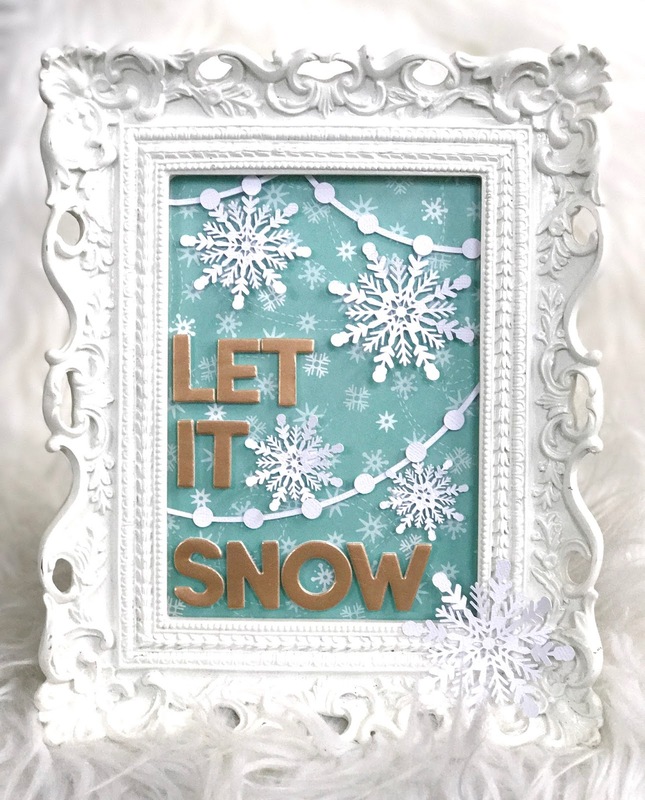 This project is really fun and easy to create with just a few supplies. 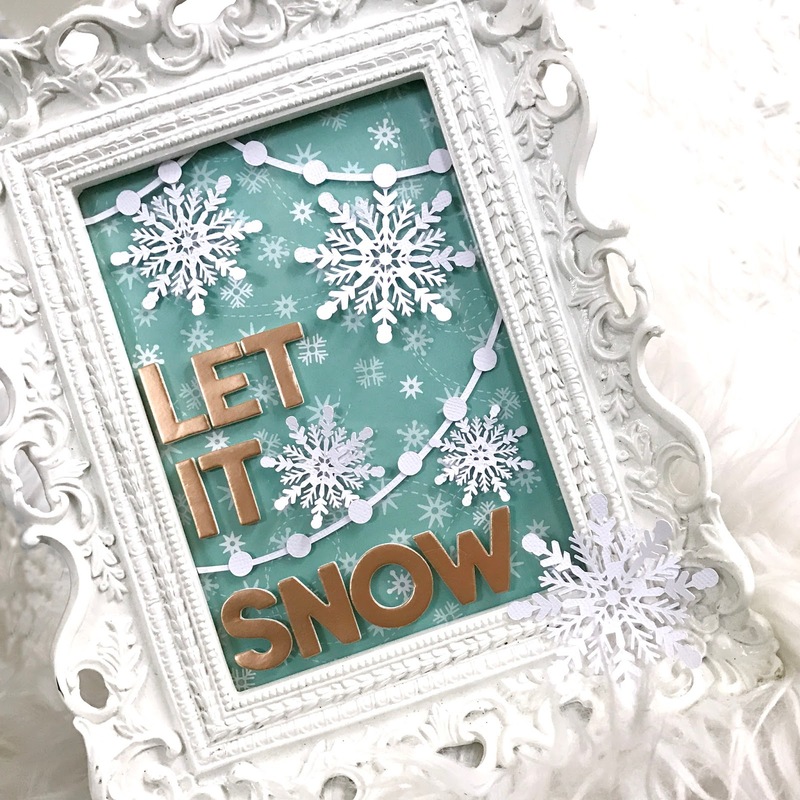 I keep this white frame up in my house year-round and just switch it up throughout the seasons. It's versatile enough to match almost any decor so it's my go-to when creating something fun for the house. Once you've punched or cut everything out. you literally just have to assemble everything. Easy peasy! I knew this would have to be multi-dimensional since the alphabet wouldn't fit behind the frame. 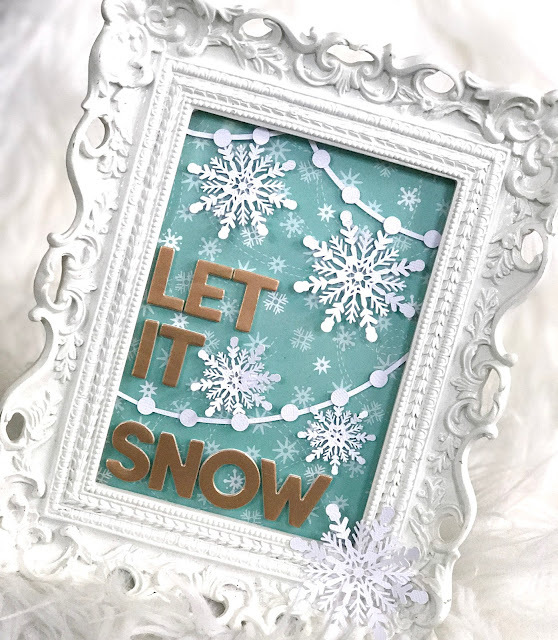 At first, I was going to adhere the garland and the snowflakes to the background paper and place all of that behind the glass but it really flattened everything out a bit too much so the only thing I have behind the glass is the patterned paper. 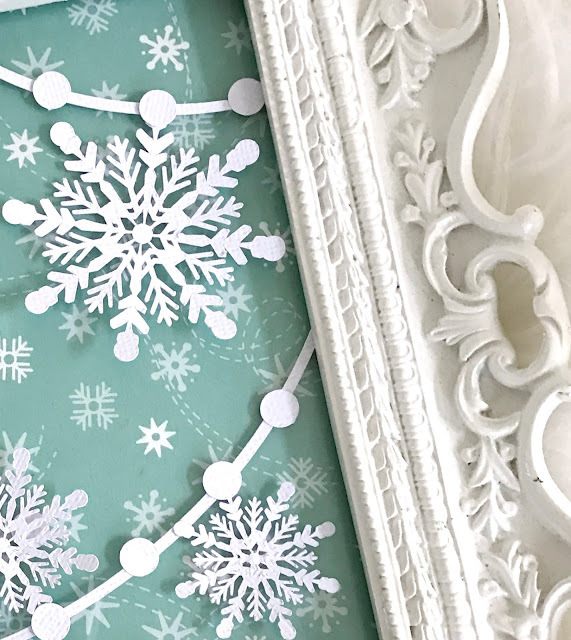 Once the paper was in position I added the garland and snowflakes, moving them around to ensure I had enough space for the sentiment. Once I liked how everything was positioned, I adhered them to the glass using glue dots. The circle "pom-poms" were adhered with liquid adhesive. 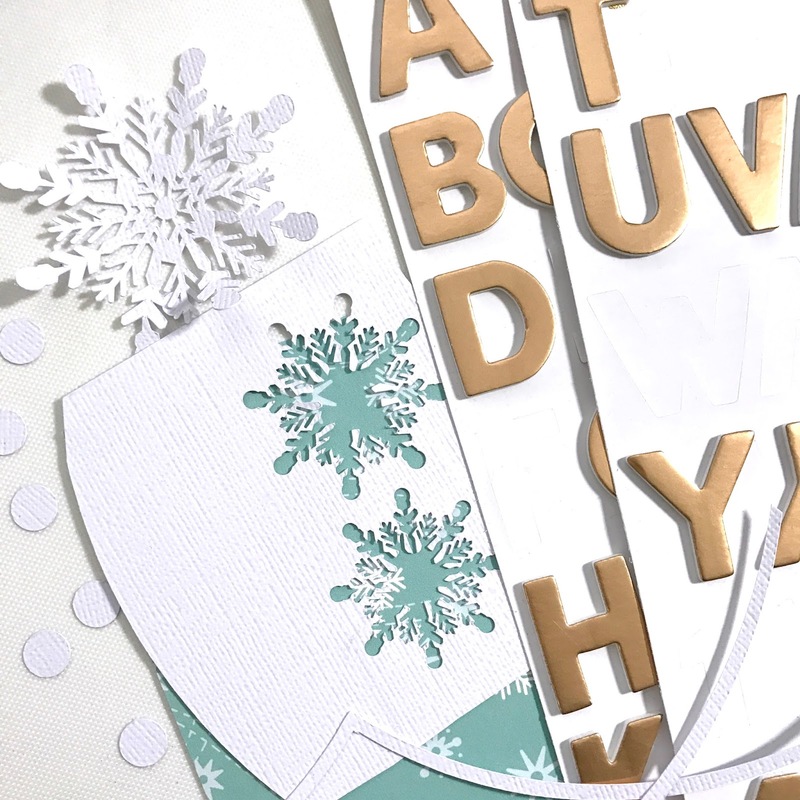 Next, it was time to add the alphabet Thickers to fill in the empty spaces! So there you have it, a reminder of our day on the slopes with my youngest singing at the top of her lungs and a nice reminder that Winter is upon us as we are snuggled warm inside the house. That’s really pretty and depicts that’s you are a creative person. I shall try this in my home and shall definitely share to my friends. Thanks for sharing this pretty trick.